Canadian Pharmacy Prices: Why Are They So Low? No matter who you are or where you live in the world, you have likely tried taking medications. It could be for a common cold or an illness that stretches out for a considerable amount of time, but either way, modern medicine utilizes pills and capsules as a way of alleviating aches and pains. By now, you have problem heard news of or seen an advertisement for Canadian pharmacies, especially if you frequent the internet. Why are these pharmacies spoken about more than counterparts from other countries? Medications can come in several shapes and forms, but one of the most variable things about them is their prices. Different drug stores will often have vastly varying prices for their products, even if they are the exact same brand. Many people try their best to find ways to find cheaper drugs, especially citizens of the US, where drug prices are notoriously high compared to other parts of the world. Canadian pharmacies, in contrast, have developed a steady reputation for creating affordable drugs that are also effective. This is especially true if you are looking for options online, where there are loads of internet pharmacies that will entice potential customers with low prices. One reason why a Canadian pharmacies drugs may be much cheaper than the norm is that they are acquiring medications manufactured in other countries where the cost of production is lower. Places like India, Turkey, Australia, and the like are prime candidates for cheaper medications since they have several companies that are working as pharmaceutical businesses. In fact, Turkey and India are some of the world’s rising stars when it comes to generic drug production. However, if you’d prefer the branded Canadian-made drugs, then you can just as easily search for a pharmacy that will give you what you’re looking for. As stated earlier, prices are variable across different stores and countries. While Canadian prices, in general, are known for being quite low, there is still a disparity for the price, so many would like to find a way to compare prices between them and find the best one. Luckily, there a few ways to do this. If you are actually residing in Canada and you want to know where to get the lowest-costing pills that you can in your area, you can use pharmacycompass, a website that lets you input your area and helps you examine the prices provided at the nearest drug stores. If you’re not living anywhere near Canada and you’re using a Canadian online pharmacy instead, but you’re not sure if you’re getting the best prices with it, then there is a website called Pharmacy Checker found at pharmacychecker.com. You just type in a drug that you need to purchase, hit enter, and it’ll show you the different prices that selected pharmacies are selling it for. And don’t worry about whether the sites they’re recommending are any good. All of them have already been reviewed and approved through a strict set of credentials that labels the pharmacy as a legitimate online business. Remember, even if the price is tempting, if you feel that the online pharmacy is sketchy, then you should think twice before you hit ‘Buy.’ There are a much greater number of illegitimate websites out there that are trying to sell counterfeit medication to their customers, so you need to make sure your chosen pharmacy is licensed and accredited. Viagra is one of the most searched products on online pharmacies, which makes sense seeing as there are plenty of men who would not want to stand in front of a counter while ordering the product for privacy concerns. It is also because Viagra is quite expensive on the regular market, going for around $30 at a regular pharmacy, which is not something people can afford all the time. 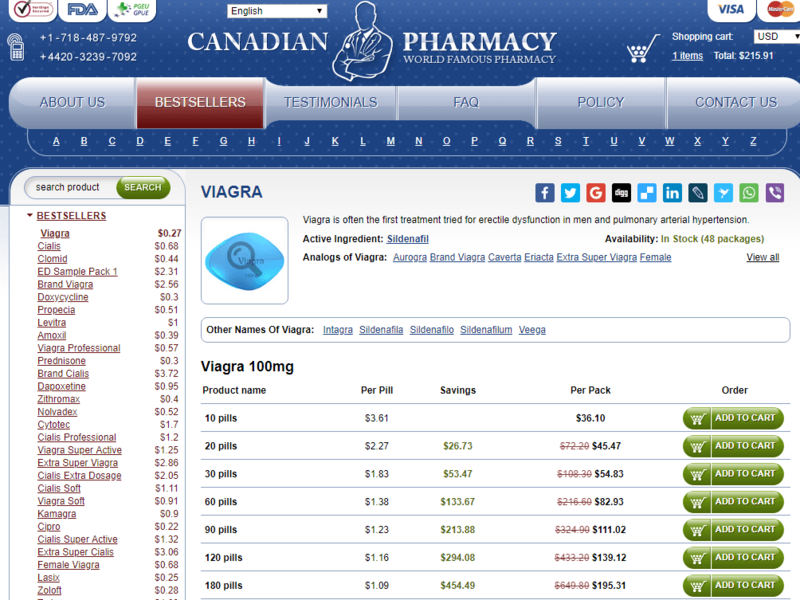 If you buy from a Canadian online pharmacy, you can expect very low prices such as the ones presented above. 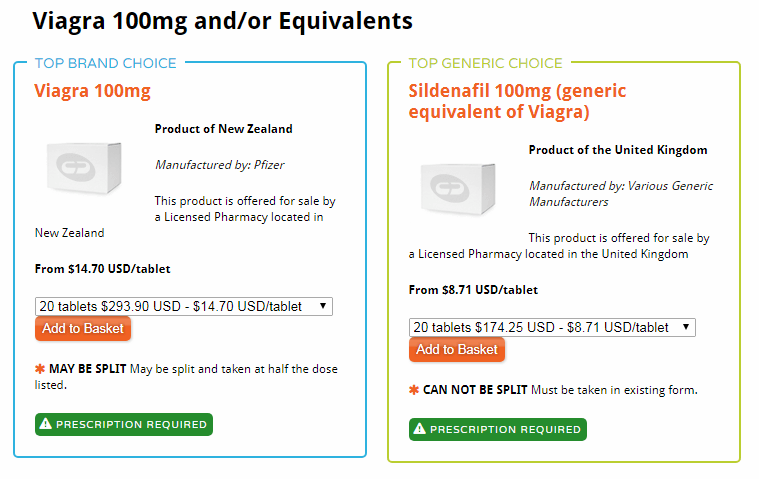 You can find brand Viagra, created by Pfizer, at around $15 for the pill, while a generic choice like Sildenafil, which presents the same effects, would be sold at around $9. If you consult our TOP Recommended Pharmacies List, you will see many listing of Generic Viagra being offered below $1 per pill. Many people are also looking for Pristiq, another medication that is an antidepressant of the SNRI family. It is primarily used in the treatment of a major depressive disorder and has been investigated as a possible treatment for menopause symptoms. The usual price of this drug is set to about $14 per pill on the US market, but for a Canadian pharmacy, the price would instead be about $4 for the same dose. You can even find cheaper versions such as the generic Desvenlafaxine tablets that sell for about a dollar less. Regardless of whether you prefer the brand or generic versions, you can find the best prices at an online Canadian store. If you’re an international customer who needs cheap medications, one of the first and best suggestions would be to try out a Canadian Pharmacy. Online pharmacies situated in Canada have some of the best prices for legitimate medications online, and there are thousands of people who go searching for the product they need on these websites. Aside from the sites themselves, you can use other websites like Pharmacy Compass and Pharmacy Checker to find the lowest prices for a certain product. If you compare the prices of Viagra and Pristiq to their American counterparts, you will be glad that you managed to find a better place to purchase medications. Of course, one large deciding factor of whether you choose to use an online pharmacy or not is if it is actually a legitimate one. You should find out if they pass certain criteria by going to a website such as cipa.com, which verifies online Canadian pharmacies. 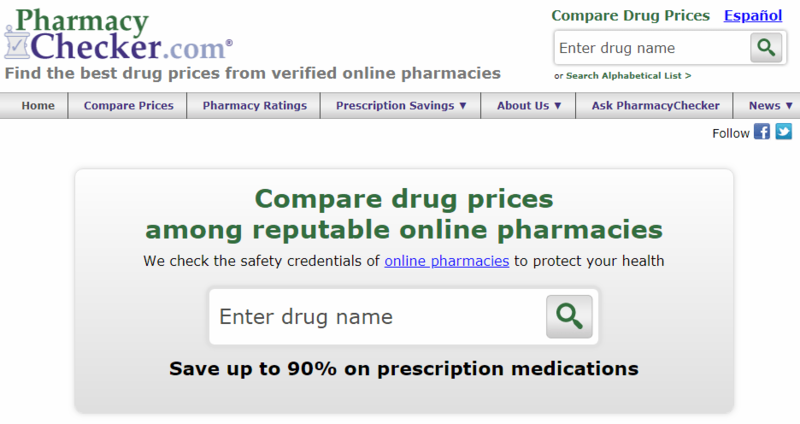 You can also find reliable pharmacy websites on the recommendation list we’ve created here.